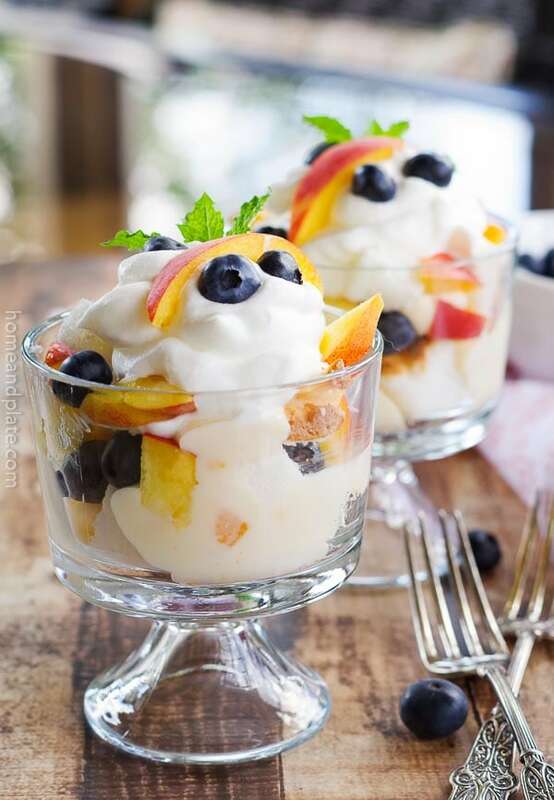 This easy no-bake dessert features summer’s sweetest peaches and fresh blueberries. Sweet juicy nectarines paired with salty prosciutto and creamy goat cheese turns an ordinary pizza into something phenomenal. For this recipe Elderflower liqueur is the star of the show. It’s the perfect twist for this classic cocktail. 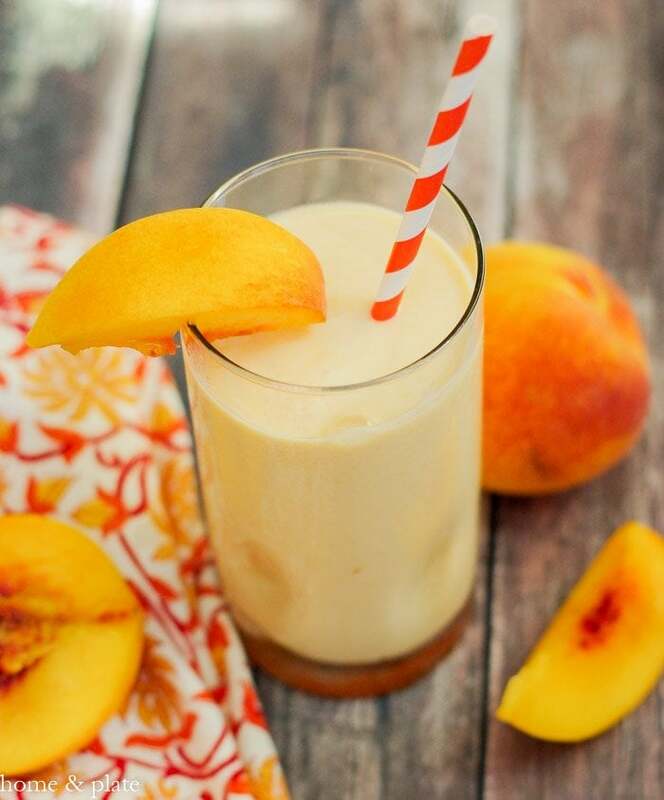 Did you know peaches are a great source of protein? 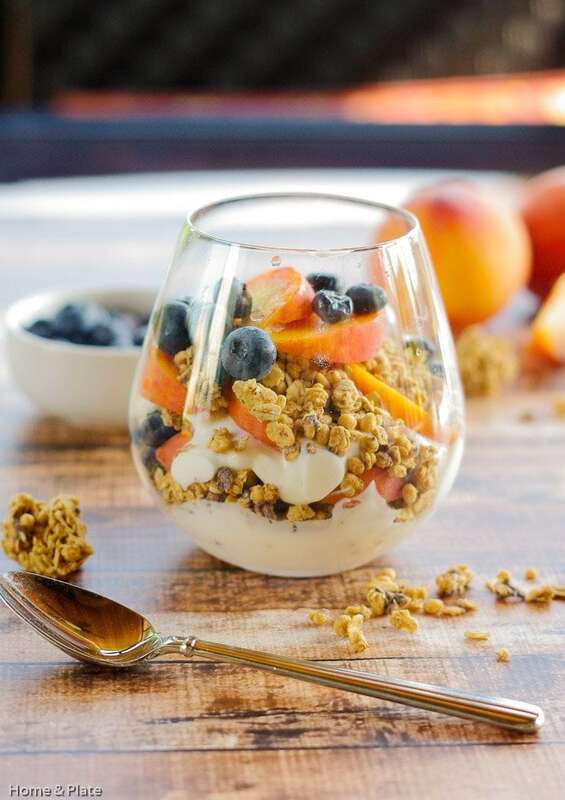 Add in Greek yogurt, mix it all together and you have yourself a power breakfast. A hint of rosemary paired with raw honey and juicy, ripe peaches picked at the height of summer are puréed for this five star frozen yogurt recipe. 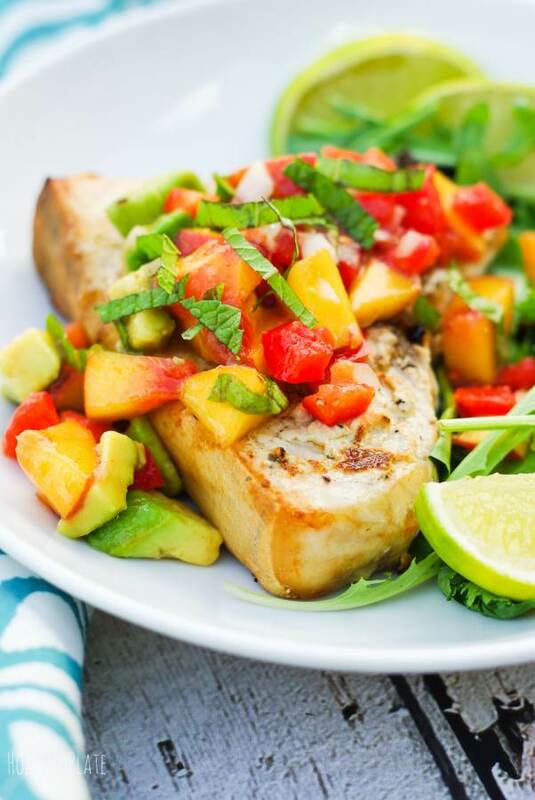 Bring authentic Mexican flavors to your table this evening with this delicious Peach Pico de Gallo. 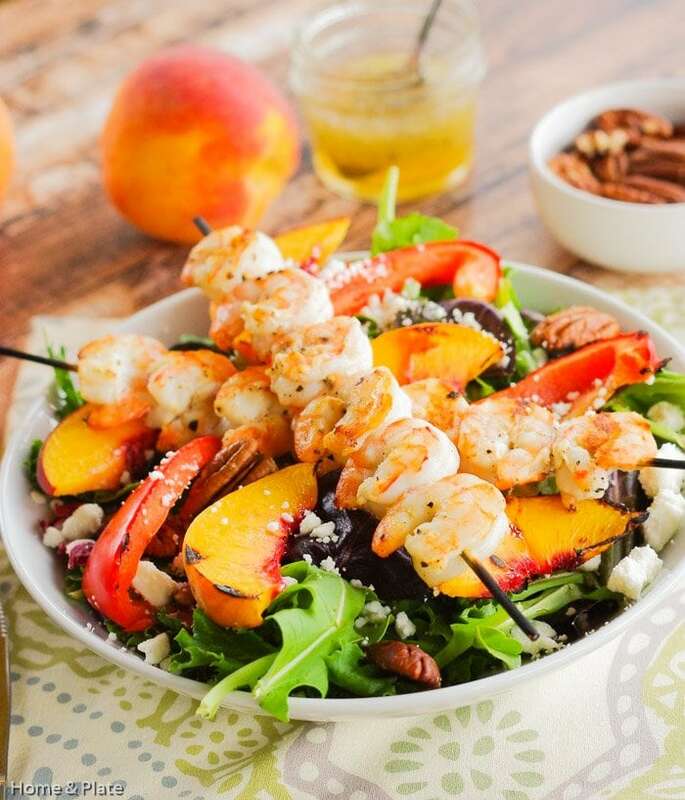 This salad dotted with goat cheese and pecans and drizzled with a honey balsamic vinaigrette is a winner. 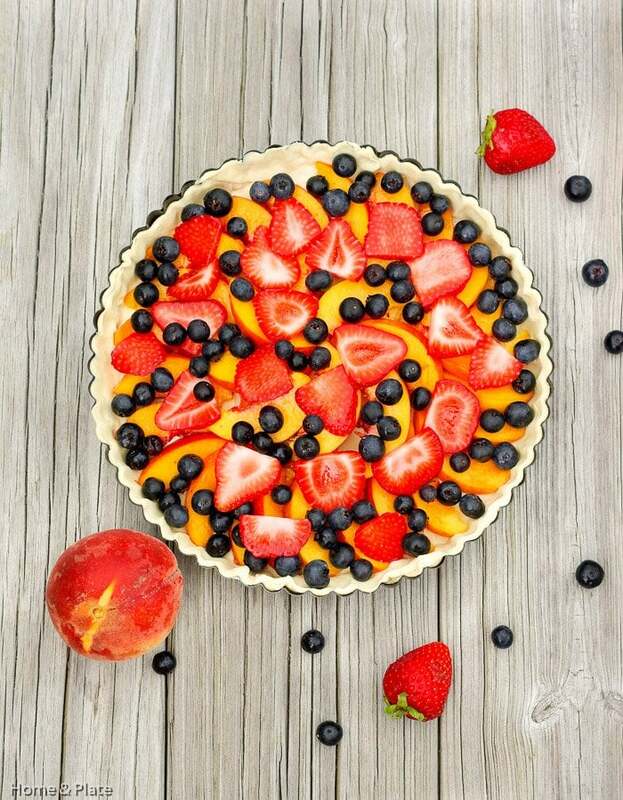 This easy summer fruit tart is the perfect dessert for any dinner party. Peaches, strawberries and blueberries are the stars of this show. The peaches caramelize beautifully and pair deliciously with the warm goat cheese. These ice pops promise that same summertime nostalgic feeling of biting into this sweet stone fruit. Sweet red and yellow tomatoes picked fresh from the vine and fragrant basil. Isn’t this what summer is all about.